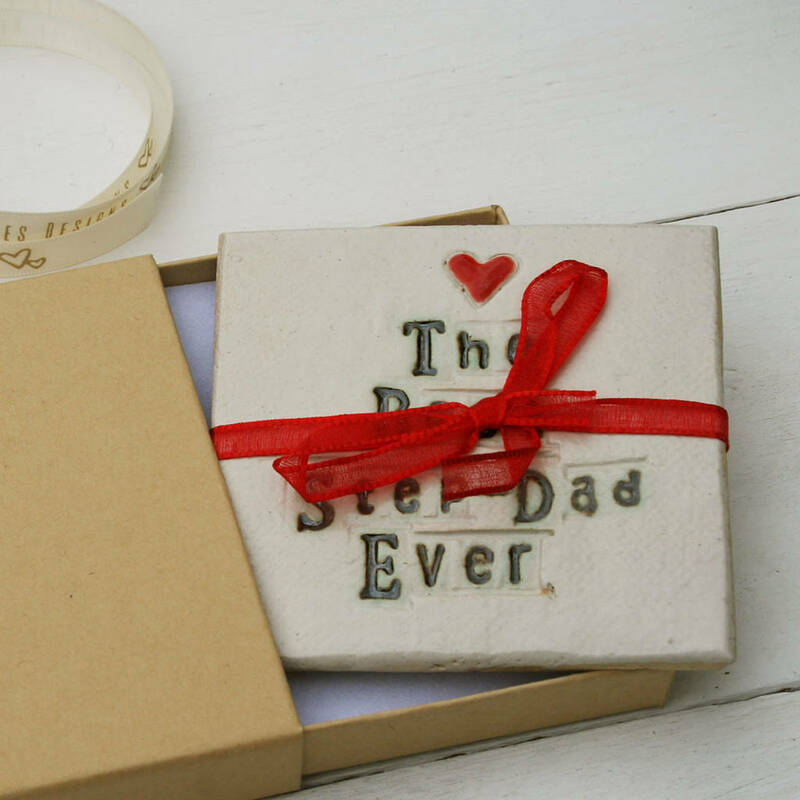 A lovingly, handmade coaster perfect for any home or office and a great Father's Day gift. This is a lovely gesture to show your Step-Dad how much you care. 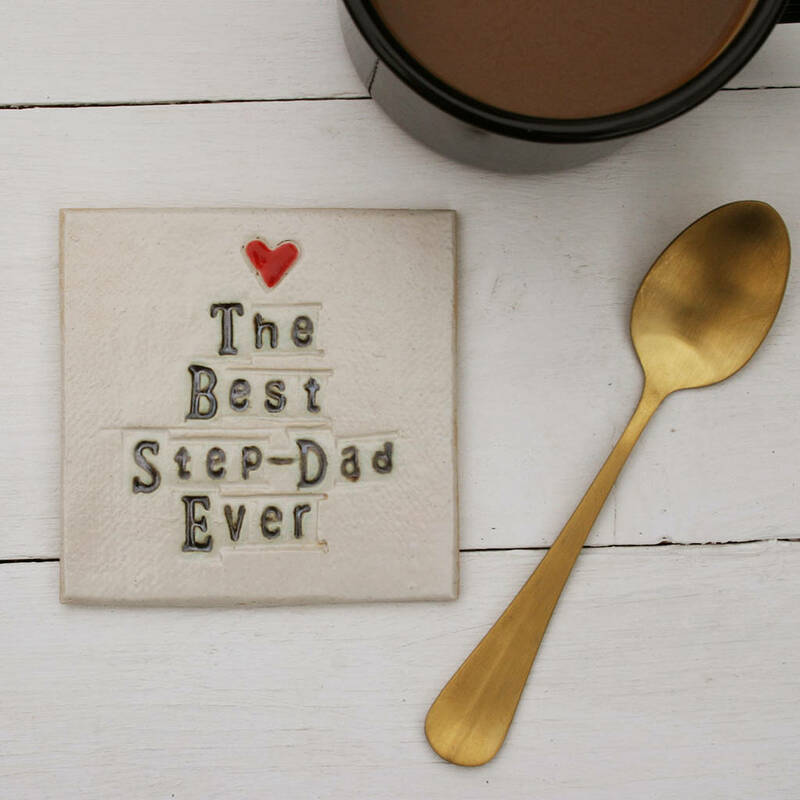 'The Best Step-Dad Ever' coaster comes with a matching ribbon and four foam feet to protect your work top. 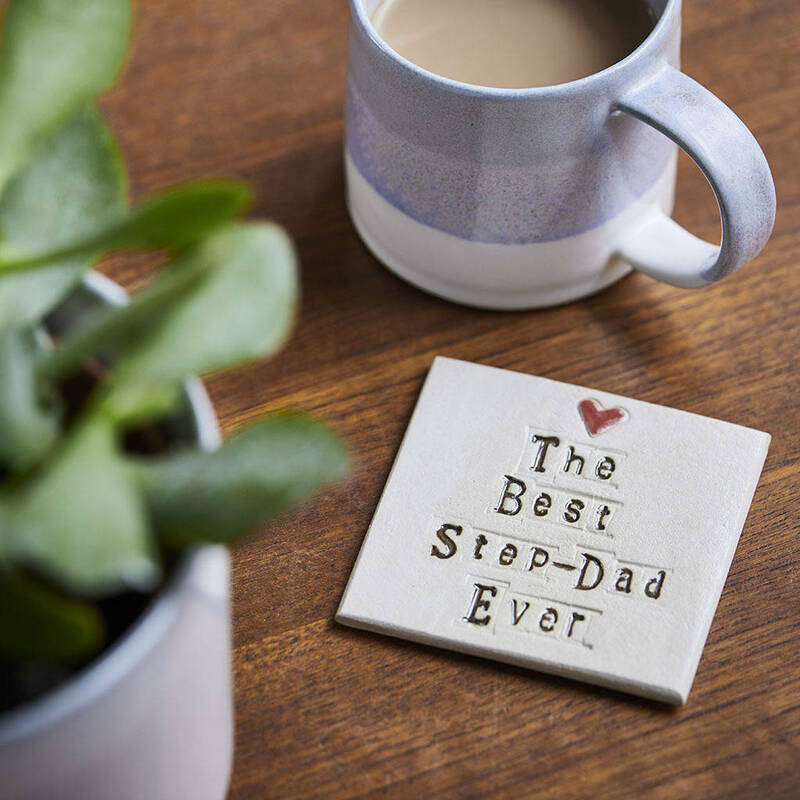 A matching card is also available to purchase with this coaster. 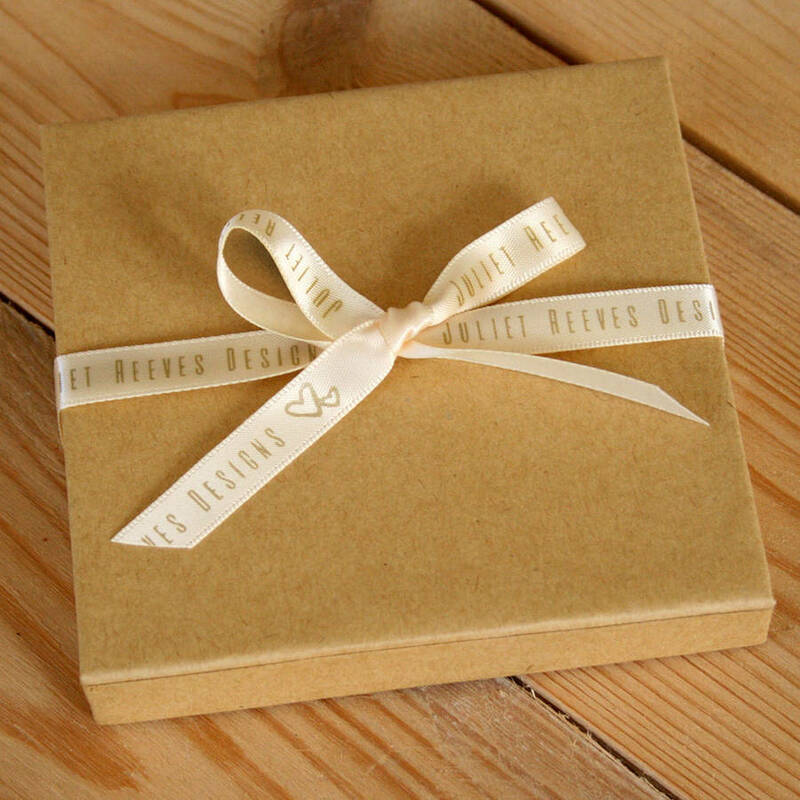 If you would like one of these please select 'Yes Please' from the drop down menu and we will send a standard 'Best. Step-Dad. Ever.' card along with your coaster (as shown in images above). Stoneware clay and ribbon with white, brown and red glaze.